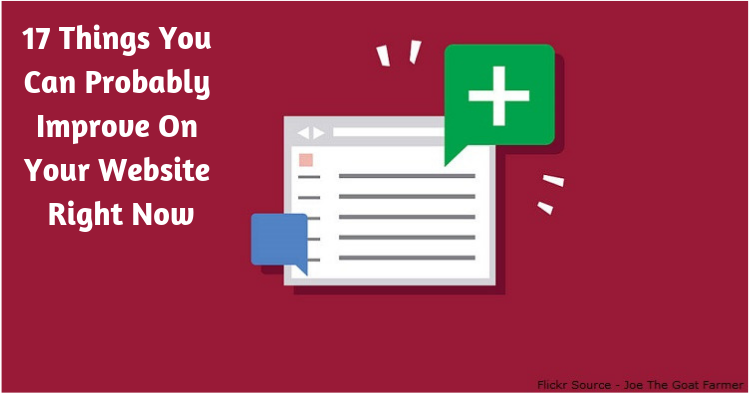 You want to make a great first impression on anyone who comes to visit your website. But too often we let our websites sit stagnant. Letting the hard work we did months or even years ago coast, hoping that they will still do the job. But a website is too important for stagnation. You don’t want to hope your website still works. That it still grabs a visitor’s attention. You want to have confidence that it does the job. That means you need to do some maintenance. Some updating. In fact, if you haven’t updated your website in the last week, it might already be time for some improvements. Here are sixteen things you can probably improve right now. When was the last time you checkedyour website’s security? Do you have an expired certificate? Is your server allset? Companies seem to be losing customer data right and left, so be sure thatthe personal data on your website is secure by incorporating a secure socketslayer, or SSL. 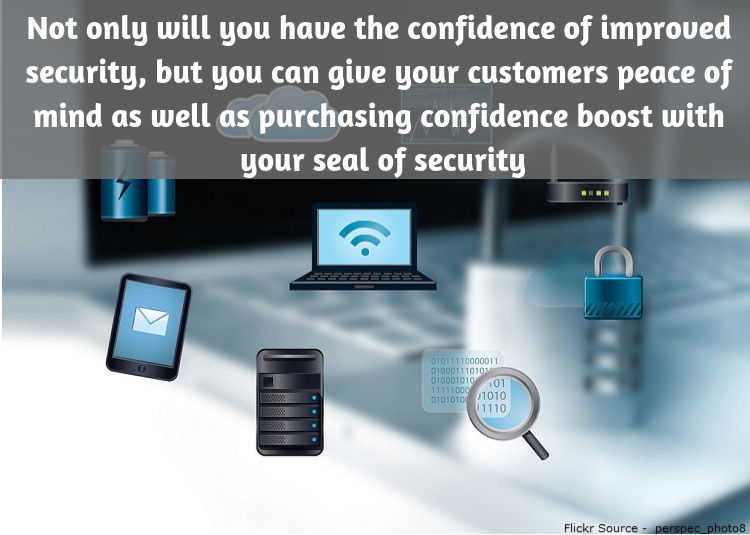 Not only will you have the confidence of improved security, butyou can give your customers peace of mind as well as purchasing confidenceboost with your seal of security. 2. 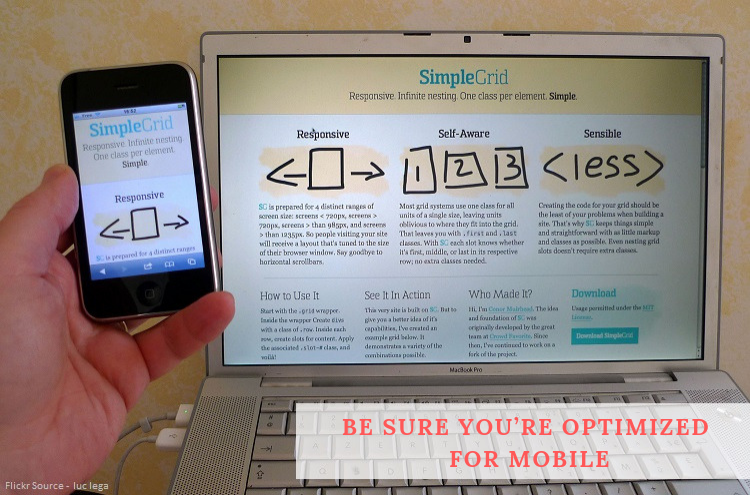 Be sure you’re optimized for mobile. Is your website ready for mobiletraffic? If you’re running your old platform that is designed for desktopswithout considering how your site looks on mobile devices, you are already farbehind the times. Conversion rates with mobile users are low, but that may primarilybe due to how non-user friendly so many websites are on handheld devices. 3. Check out a remarketing program. Internet users are savvy and they are unlikely to buy the first time they visit your site. They will come and go and hopefully come back again, but it might take four or five touches before they finally commit to a purchase. You can capture more conversions if you consider a simple remarketing strategy for your site. Most ad networks offer a remarketing strategy to “mark” a visitor using a pixel that then allows you to follow them through various ad interfaces so that you can tailor your program for what the customer is seeking to help close the deal. What was a great headline last year might (or last week) might read as stale today. You should be updating your headlines regularly as a form of split testing but also simply because customers respond to different things at different times. Everyone knows the power of a good headline, but you should never just assume yours are good enough. 5. Integrate a mission statement. Work in a value proposition or mission statement to let the customer what you do and what you’re about. Your mission statement should appear on your homepage and on other important pages throughout your site like your blog headline and your About Us page. Visitors should know why you do what you do and what they can expect by doing business with you. Your website navigation helps your customers find things and helps the search engines find your value. But visitors should always come first, so clean up your navigation so that it is as simple and “human-friendly” as possible. Use the words and phrases your customers will understand and be looking for, not arbitrary keywords. 7. Check your call to action. You have a call to action, right? If not you had better create one immediately. This is one of the most powerful elements of a persuasive text, and that is especially true for sales pitches. You have told the customer what you’re offering and why they should be interested. But did you tell them what to do next? Click here? Sign up for more? Buy now? Go to checkout? Choose an action and let the audience know in clear and precise language. 8. Put some color on it. Once you’ve improved your call to action, go ahead and call attention to it by highlighting it in a different color. Use contrasting colors to really draw the visitor’s eye to the action you’re asking him to take. A light grey or blue site would create a sharp contrast with a yellow or orange button, for example. A white background will offset a red button. Look for complimentary contrasts. 9. Check it at a glance. Pull up your website and just glance at it. Walk away a few feet and check again. Can you tell at a glance what type of website this is? What does your company do? Your branding should be so solid and decisive that there is no doubt, even from a distance, what your company does or why it’s important. If your website seems a bit vague, don’t fret. You can tighten it up by improving your headlines, your titles, your images and your overall presentation. Maybe a clearly stated mission statement is all you need here as well. Rotating images and selections on a carousel can be a powerful draw for customers. Content is changing and highly visible. You can feature key pages or images. User interaction is strong for the first image and then decreases for the second and third. Traffic and interest is almost completely tapered off after the first few images, so cut any images or stories after the first three. Customers just don’t care enough to watch that long. 11. Put influencers to work. Social media influencers can have a profound impact on your customers and their opinions. Have some of the more powerful social media influencers in your particular industry take a look at what you’re offering and perhaps offer up some quotes or testimonials of their own. You can use these bits of marketing on your own site to harness their credibility. 12. Nix the testimonial pages. Go ahead and eliminate your testimonial page. You don’t need it. Nobody goes to it anyhow. If you want to share the awesome things clients are saying about you and what you do, scatter those reviews over the website. Little clips and snips of reviews can show up throughout your copy rather than be contained on a single page that nobody bothers with anyway. You can also use those testimonials in social media marketing, especially if you can harness the reviewer to post authentically on your behalf. 13. Show off your team. We trust people we can see and feelconnected to. So let the world peek behind the scenes of your operation to seewho you have working in the background making the magic happen. 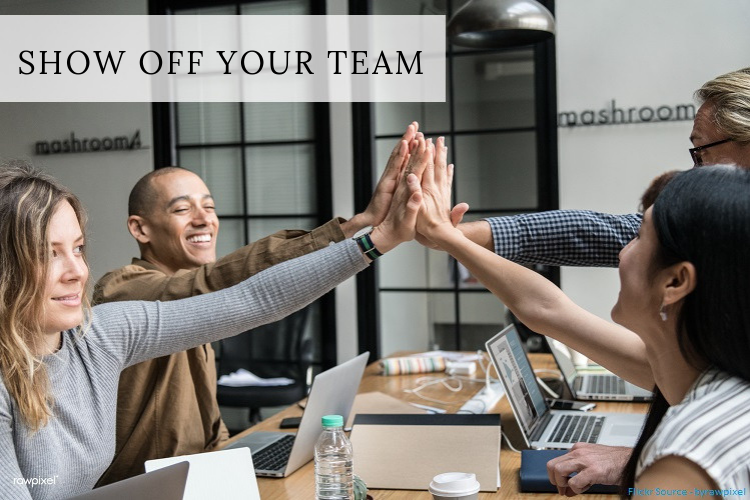 A team page onyour website will give you the opportunity to create individual bios and makeyour business less about your products and more about your people. Internal links are one of the best ways to keep visitors moving through your site. Link from one page to the next. Link from one article to the next. Never let visitors arrive at a dead end. This not only keeps your visitors intrigued and engaged in what you’re saying, but it helps move the search engine crawlers from one spot to the next as well. There is an adage that says the most important things on a site need to live above the fold. That’s actually not true, especially in our mobile age, and you should stop cramming things above the fold. Add natural spacing to your site to better balance what customers are seeing and just assume that they will scroll because that happens to be the most natural thing we all do on the internet anyhow. 16. Add a contact form. If you have a Contact Us page with just some email addresses and maybe a phone number, you’re missing out on a great possibility. If you are collecting data and tracking conversions, you can do this more fully by utilizing a contact form rather than just a contact us page. You can better track interactions with the page and you can set-up a confirmation response for customers to let them know you received their message and perhaps offer them some additional value or branding. 17. Try out a thank you page. After a customer interacts with your website, have them directed to a thank you page. Thank you for the sign-up or the purchase or the download. Once you have them at the thank you page, you can encourage the customer to sign up for a newsletter or to interact with your site in a different way. The more points of contact you have with your customer the better, and your thank you page is often a totally overlooked opportunity. Your customers are valuable and you want them to have a good experience on your site. The best way to guarantee that they are seeing the very best you have to offer is to be sure that your website is updated frequently with the very best you can give. Ask a marketer or business owner what they”d like most in the world and they will probably tell you more customers. What often comes after customers on a business wish list. More traffic to their site. There are many ways you can increase on your website and in today post we are going to look at 25 of them including several ways to boost site traffic for free. Heyy Oleg, Check in a glance is actually underrated. a few days ago I was developing my own website I was ignoring this factor. You know sometimes we think that the website is perfect but in most of the cases we forget to check “one glance view” and the website remains little imperfect. All points you mentioned were valuable but then special thanks for mentioning especially that point. It saves the designer from design blindness. I have set up my personal blog on WordPress, but I should say that I know nothing about WordPress or coding. I just read step by step guides and watched hundreds of videos to learn how to set up a WordPress blog. So, I didn’t know any of these things until I found your article. Thank you very much for sharing this with us and keep up your excellent work. It helps a lot.